Kannur, the North Kerala district, lies just south of Kasaragod. West is Arabian Sea while the mountainous east overlaps with the hilly precincts of Wayanad. Mahe and Calicut district shares southern boundary. A district where urbanisation took pace, we find half the people residing in towns alone. Kannur town is the largest of all. Thalasseri, Mahe and Payyannur are the other important towns. Although Kerala’s sixth largest town is a crowded urban precinct just like any, there are plenty of Idyllic beaches, calm backwaters, restful resorts and enchanting hill stations in the surroundings to keep you hooked. Some of the best sightseeing locations are in the east, which is a couple of hours drive from Kannur town. These attractions are not promoted as they deserve to be. So most people spend time visiting Kannur town and surrounding places in the west. Similar to Kozhikode, Kannur is also known for hospitality that is soulful. Local traditions reflect the view that the path to guest’s heart is through their stomach! Hand looms permeate the woof and warp of life. The land of hand looms is the home to some of the best weavers. Striving local industry creates best of the breed stuff. Naturally, great export demand ensues. Spirituality and culture are intertwined by folk dances. Godaveri (Godamuri), Vedan Pattu, Marathukali, Poorakkali, Vadakken Pattukal, Kalaripayattu - all of these have coloured the fabric of life. However, the centrepiece of all such local attractions is the dramatic performance of Theyyam. Kannur keeps on doing its best to hold the statement the land of looms and lores true. Sightseeing spots are in plenty, and beaches ofcourse, tops the list. The line up of fine beaches is going to take up a bit of your time here. 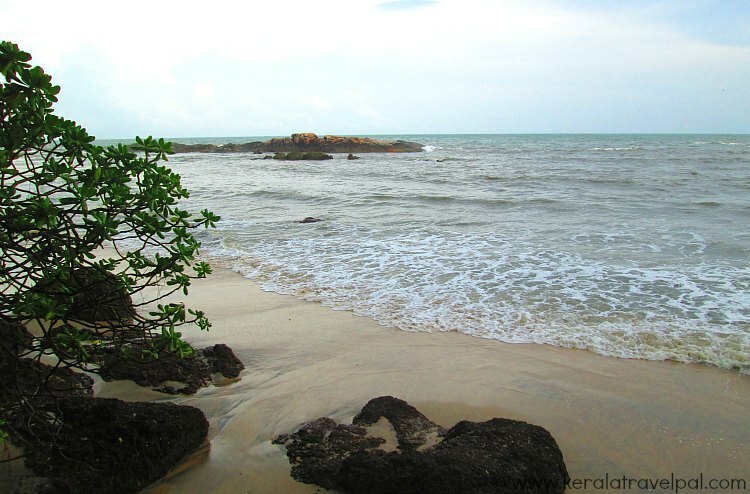 The most popular beach is Payyambalam, just 2 kms from town. The beach is generally kept clean and the waves are milder than most Kerala beaches. Do you want a beach that is a bit different? Then head to Muzhappilangad. The drive in beach is one of the very few in India. 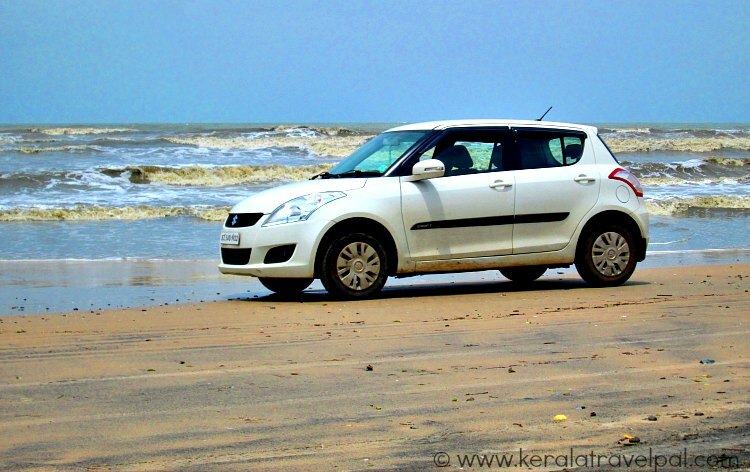 Here you can enjoy beach driving along an unbroken stretch of about 4 kms. Not far from the southern end of the driving beach is a small island, lush and pretty. It is Dharmadam Island, a tourism spot by its own right. You can walk to it during low tides, by crossing knee deep ocean. 'The woods are deep and brown', nevertheless need a promise to keep to self to return before high tide. Lest you will be stranded unable cross the quarter mile of sea. You can reach the island in boat also. What makes Kannur coastal belt so irresistible to travelers is an array of beaches, all a few kms from one another. Secluded, pristine and stunning they are great for a few days of de-stressing. Meenkunnu, Kadalai, Thottada, Kizhunna and Ezhara are the top ones, for those who opting for a feel of remoteness amidst a world of beauty. A truly remote beach is Ezhimala. Located about 38kms north of town, a cluster of hills surround golden sands playing up nature’s magic. The tourist precinct in Kannur town has several sightseeing spots not far from one another and hence great to visit. Mappila bay, the harbour, is scenic and popular for boat rides. Kannur fort, that overlooks the bay, is a historic monument. Just across from the fort is Arakkal Museum, which is set up in the durbar hall of Arakkal Palace. For centuries, Arakkal kings ruled the land from here. 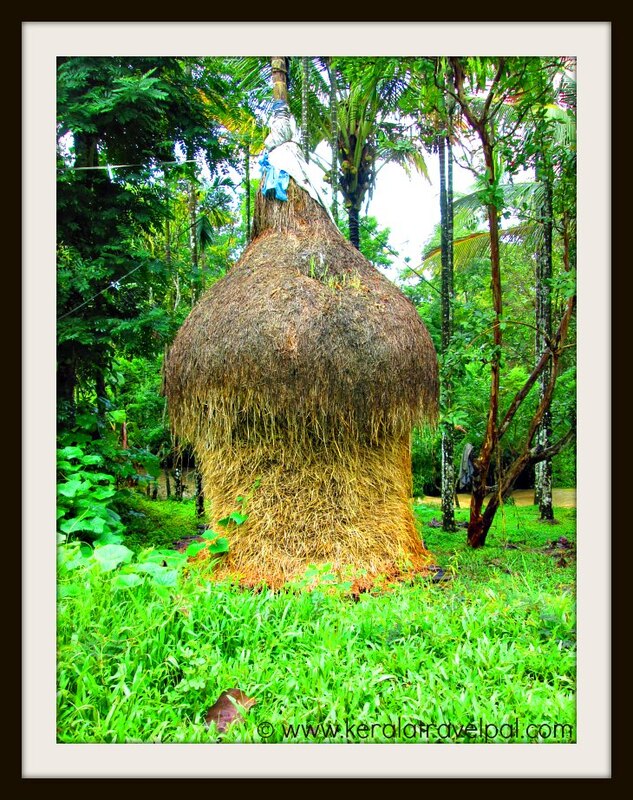 The village of Parasinikkadavu is a great place to visit. The temple at Parasinikadavu, also called Muthappan Madappura, attracts devotees from all over Kerala. The temple, the deity and the rituals are unconventional, peculiar and quite interesting. The temple welcomes every one regardless of caste or creed. The temple is located at the banks of Valapattanam River. The vast stretch of backwater is splendid and great spot for boat rides. Do you want more of water based action? Then Vismaya is the place to be. Vismaya is a water themed amusement park located near to Parassinikadavu temple. Kids and adults like it alike since there is something for everyone. Rides and adventures are designed so. You are not over with Parassinikadavu, yet. There is something more to visit – a Snake Park! The Snake Park has about 150 types of snakes held in glass cases. King Cobras are the star attraction. Cobras, Vipers.........the range is pretty comprehensive. If you feel beached out and want somewhat of an opposing experience, then there is the hill station, Pythal Mala. Another spot is the hilly precincts of Aralam Wildlife Sanctuary. Both the places require 60 – 70 kms travel from Kannur town though. If you are choosing to stay in town, why not try a few local delicacies? Make sure to eat from some clean places. You may also want see if the local shops have anything so tempting that worth spending for. If you want to touch a bit of local life, a place to visit is MGS Kalari Sangham. It is a training centre of Kalarippayattu, the age old native martial arts. A hand loom factory is another choice of visit, in case you are interested in textiles. Serpent groves locally called Kavus are something unique. Kavus are isolated patches of wooded growth. Large trees such as Banyans and wild shrubby growth appear intriguing as they take demarcated existence in the middle of coconut groves. They are left alone as the sacred places where snakes are worshiped. Thick vegetation in the middle of nowhere draws plenty of snakes. From King Cobras to cobras to vipers to small non poisonous ones make Kavus their adobe. While Kavus are occasional sight in the villages through out Kerala, they are more common here. Propensity of serpent adulation has resulted in prominent ones such as Andalur Kaavu near Dharmadam. Ancient texts describe it as Naura, the port town. History mentions about timber from here transported to King Solomon for the construction Temple of the Lord. Upon witnessing a thriving centre of trade, Marco Polo described the place in his travel writings as the great emporium of spice trade. Pioneer travelers Fahian and Ibn Batuta also touched the coastal land at varying points in time. Since the days of British rule, the place was also known as Cannannore. This anglicized version is not much of in use today.